Missing the playoffs last season didn’t sit well with Martin Hanzal. His stellar play in 2013-14 more than suggests he was determined to do something about it. A Pacific Division crown two campaigns ago served notice Phoenix were more than capable of skating with any rival. But, after a conference final ouster at the hands of the Los Angeles Kings, things didn’t pan out as the Coyotes had anticipated the following year. Fifty-one points in 48 games, a fourth-place divisional finish and no shot at a Stanley Cup in 2012-13 was not what anyone in the organization, players included, were expecting. It’s something that stuck with Hanzal over the summer in his native Czech Republic. So far, it’s been a dream beginning for Phoenix. They sport a record of 14-4-3 (31 points), good enough to put them near the top of the Western Conference. On Saturday night, they became the first West team to knock off the Tampa Bay Lightning, a 6-3 home win. For his part, Hanzal scored once, added three assists and was a plus-four. And no easy opponents to face. 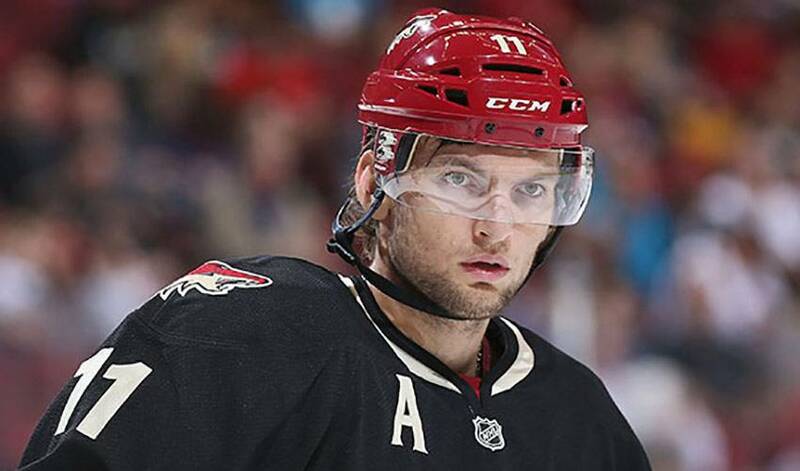 Hanzal also often reminds himself of his standing as an alternate captain, a role he was given in October of 2011. Eighteen points in as many games, combined with solid defensive play, has added up to an impactful start for Hanzal. He’s determined to help Phoenix stay on course. “You just have to be ready every game,” said the veteran of 409 regular season NHL games. There’s no denying Martin Hanzal certainly is.